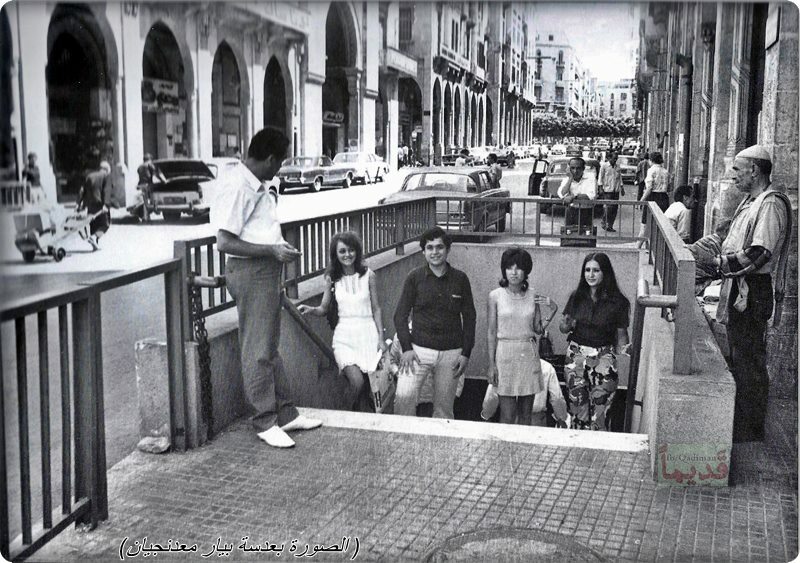 I found this picture today on the Facebook group قديماً one of many sites now posting pictures of old Beirut. According to the site, this is an underground pedestrian bridge located at the intersection of Allenby and Wegan streets shot in 1972. Apparently the pedestrian tunnel was covered up in the post-war reconstruction effort. And why not? Judging by the trickle of people that walk in downtown Beirut today, it’s hard to imagine the type of foot traffic that would justify a pedestrian bridge. Despite the hundreds of millions poured into the city by private corporation Solidere, which was tasked with the reconstruction effort, on most days, the city-center–if we can still call it that–looks as ghostly as the photo above. Solidere proponents would argue the area has been hit hard by the political instability since 2005. But it remains far more empty than other areas such as Hamra and Gemayze which have seen an exponential growth over the same period. Solidere’s critics would argue that area has priced itself out of the competition. 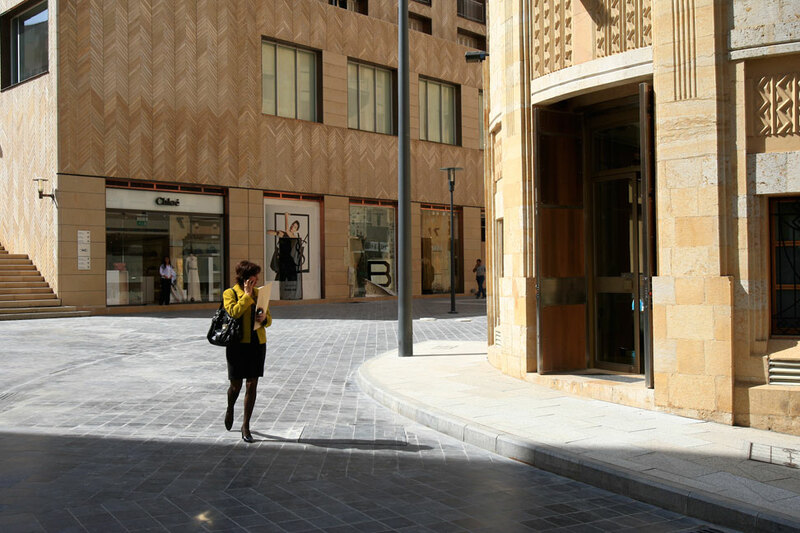 With its astronomical rents seeking to attract high end shops like Gucci, Rolex and Louis Vuitton, Solidere’s business model has always positioned itself upon the rich, mainly expatriates and tourists; while largely ignoring the local Beirut population. This is not the center of town old Beirutis remember. In fact, Solidere’s project doesn’t quite resemble any part of the city. 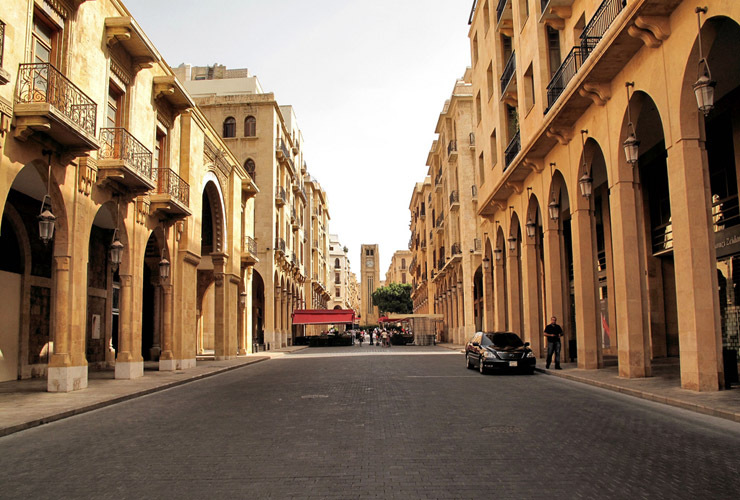 Despite the retouched, pressure-blasted facades, downtown Beirut has very little in common with its own gritty past. Dozens of old-timers I’ve met over the years have told me it was once a dusty, bustling, pulsating heart of town, flowing with pedestrian traffic night and day. Now downtown is the reserve of chic shoppers and exclusive dining establishments. But in the past, it was where you would see a movie, catch a bus or taxi, shop for everything from chickens to kitchen sinks or just go for a stroll. “It was like this,” 76-year-old Samir Sidani says, shooting a serious look at me while interlocking his index fingers. “What a shame,” he adds. Sidani’s melancholy sentiment reflects one I have encountered time and time again from those who remember a downtown Beirut that the younger generation may never know. One that welcomed visitors from all walks of life and did not discriminate, one that boasted grand theaters and glass sidewalks, affordable souks and yes, pedestrian tunnels. Great article. A shame indeed- especially that even the tourists (that this dystopian city center was built for) have mixed feelings about it and prefer genuine Lebanese areas like Hamra and Gemmayze. Nothing really was accomplished besides Solidere reaping profits and allowing Lebanon to succumb to the pressures of economic hitmen. Thanks all. I’m grateful for sites like قديماً and others for posting these pics and of course the photographer, who’s name apparently is Pierre Maadanjian. Wonder if he is still around.